May 28, 2014 - PRLog -- iOttie, Inc-creators of the best-selling universal smartphone car mounts on the market- has done it again! If you enjoy the iOttie Easy One Touch Car Mount line then get ready for their newest addition. The One Touch 2 also offers a new telescopic arm which extends up to 2 additional inches providing you with even more viewing options than ever before. The One Touch 2 also provides a new sliding adjustable bottom foot. The redesigned bottom foot ensures that there is no interference with your devices bottom ports. In addition iOttie has incorporated a new two-step locking lever into the design which ensures your mount can be used on many different surfaces. The first locking position can be used for flat, smooth surfaces while the second locking position can be used on curvy textured surfaces that may require more grip. Like its predecessors, the Easy One Touch & One Touch XL, the iOttie Easy One Touch 2 provides a safe, versatile and highly functional smartphone mounting solution. The new Easy One Touch 2 is packed with standard features such as the iOttie patented one touch locking feature as well as the iOttie super sticky gel pad. 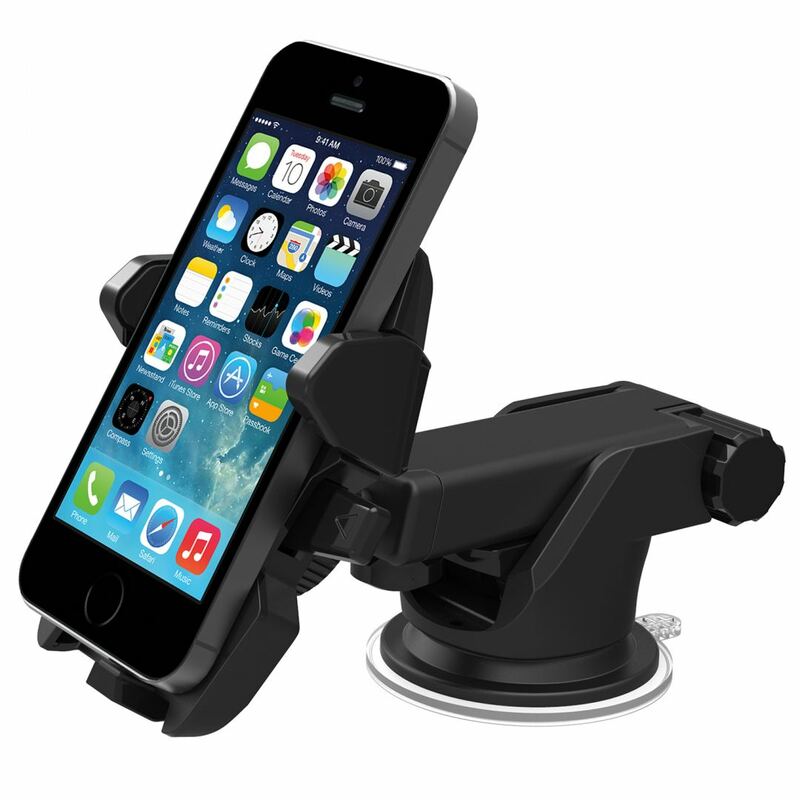 The iOttie Easy One Touch 2 Car Mount is now available for purchase at www.iottie.com. Since 2010, iOttie has been revolutionizing the way consumers are using their smartphones inside their vehicles. The iOttie team of engineers, designers & marketing specialists understand the growing market and trends that are occurring within the wireless industry. With this knowledge, they are able to seamlessly bring to the market quality smartphone car mounts that offers safety & security while driving. iOttie - Mount Smart. Drive Smarter! iOttie introduces the latest edition to their car mount line – the Easy Flex III.